Alkalinity is one of the primary things measured in water chemistry. But what is it? Total Alkalinity (TA) often gets confused with pH and words like alkali, alkaline, etc. I think this topic is one of the least understood in pool management. Many pool service pros know how to test for TA, but may not even know what it actually is, what it does, and why it's important. 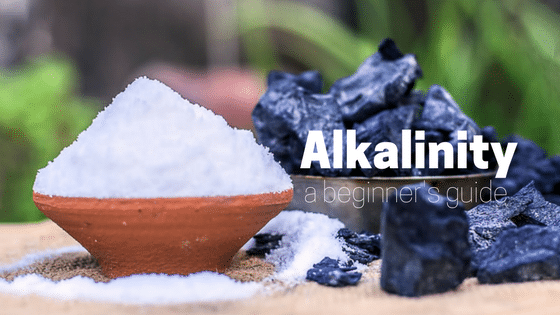 What is alkalinity? What does it do for water chemistry? And how is it different from pH? Either the subject hasn't been clearly explained, or... no wait, that's what it is. Hopefully my article will simplify the science and help you understand alkalinity better. The pH of the water determines which form of alkalinity is most prevalent in that moment. Here's a science-y chart that you may just give an academic nod to, and pretend it makes sense. At least, that's what I did. But don't worry my friend, I'll explain it. The pH of the water determines which form of ions are most prevalent. 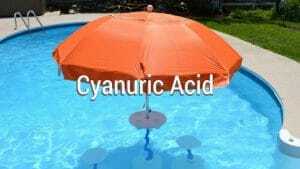 For swimming pools, the most common form is bicarbonate. So let's go left to right on the graph. Carbonic acid is dissolved carbon dioxide (CO2). 4.3 pH is the point where alkalinity begins to exist in water. Anything below 4.3 pH, there is zero alkalinity in the water; just dissolved CO2. Essentially, at 4.3 pH, carbonic acid begins to transition into bicarbonate ions, indicated by the red line in the graph. Pool chemistry should range between 7.2 and 7.8 pH, so it's almost all bicarbonate ions. Now wait--the plot thickens--a new ion arrives. At 8.3 pH, carbonate ions show up, and the transition occurs from bicarbonate to carbonate ions. Dissolved hydroxides are not shown on the graph, unfortunately. They show up around 12 pH. The most common hydroxide in swimming pools is calcium hydroxide, which bleeds out of curing plaster, around a pH of 12.6. According to the National Plasterers Council, calcium hydroxide is the #1 reason pH and alkalinity rise during a pool startup. 2. What does alkalinity do in pool chemistry? Alkalinity buffers (stabilizes) the pH of water by neutralizing acids. It makes it more difficult for pH to fluctuate or bounce, and is also a positive contributing factor to the Langelier Saturation Index (aka corrosion index). We need these dissolved alkalinity in our water to keep the saturation index balanced and our pH stabilized. The ideal TA level depends on the type of sanitizer used, but generally ranges between 80 - 120ppm. What really matters, in our opinion, is the overall LSI balance of the water. It is feasible to have balanced water with 60 ppm TA, provided you are compensating for it with warmer water, higher pH or higher calcium levels. In pool chemistry, many chemicals affect both pH and alkalinity: sanitizers, salt systems, pH adjusters (like acid and sodium bicarb), and specialty chemicals. For the LSI to be properly calculated, we have to find the carbonate alkalinity by removing the cyanurate alkalinity. To do this, we have to measure cyanuric acid (CYA), and know the pH. The higher the CYA, the more severe the impact to the LSI. 3. What is the difference between pH and alkalinity? We have an article that explains this more in depth. In short, pH is the power of hydrogen, or the potential of hydrogen. It is a logarithmic scale from 0-14, where 7.0 is neutral. It measures the concentration of hydrogen to determine how acidic (below 7.0) or alkaline (above 7.0) a substance is. We measure alkalinity in parts-per-million, and pH on a its own scale (like LSI). In other words, pH does not tell us how much acid or alkali is dissolved in water, it just tells us where on the equilibrium it the overall pH is. The higher the alkalinity, the harder it is for pH to change, due to the water's ability to neutralize acid.